Tyre review data from 6 tyre reviews averaging 89% over 29,000 miles driven. 2017-08-22 - Can I put these Cooper Zeon 4XS 19s on to my car? It is a fairly powerful BMW, not an SUV but a large car. As long as the Cooper Zeon 4XS is made in the correct size and load rating, there's no legal or safety issues as to why you can't. I can't comment on how it might handle having never done the test! Have you driven on the Cooper Zeon 4XS tyre? Please help millions of other drivers make an informed tyre choice and pick the correct tyres for their car by submitting your review of the Zeon 4XS. Tires changed 1500 kms ago. So far, they have not suffered premature wear or signs of deformity. Very quiet. Fantastic dry grip. In wet weather I have not been disappointed. My driving style is rather quiet. Tried Cooper and will buy again. Wear rate is brill. Have used in the past Pirelli, Continental,Toyo and Michelin. Cooper is half the price of Michelin for similar performance and use. Only changing tyres early as down to 2.5mm and it's the rainy winter season. Ive had these on my Discovery 4 for a while now and its an excellent tyre replacing my Pirreli Scorpion Zero's. I have always used Avons on my past cars but this is my first 4x4. The tyre company did not recommend them...after enquiring why it was because they hadn't heard of cooper zeons and customers prefer brands....so with that excellent advice I went for coopers. Its been pretty wet down here in the new forest but the tyre is doing a great job, no problems at all in the corners, very deep puddles are fine at speed. Ive taken it off road a couple of times (when I say off road I mean very wet grass and firm trails, no heavy mud rutted tracks), again no problems. Its not a like for like comparison but I went to SPA GP last year and parked on the long wet grass, I was disappointed by the grip of the pirreli but then again neither that tyre or the cooper are proper off road tyres. In any case, we got off the grass much easier than any merc/bmw/audi. I cant tell the difference between the noise of these against the pirreli, to be honest the disco is a noisy car due to its wind resistance as I imagine most 4x4s are, 10 mins down the road and your tuned out of it anyway. so not worth quibbling over a decibel or two louder than the pirreli. Cant comment on the wear yet...ask me next year I guess. As others have mentioned this in an underrated tyre in my view, Avon have a great history in motorsport and support many forumals, nothing wrong with their pedigree at all. I paid 577 for four tyres fitted and including VAT. Replaced my entire set of Pirellis as I think they are over rated. The Coopers have a very precise feel to my surprise. 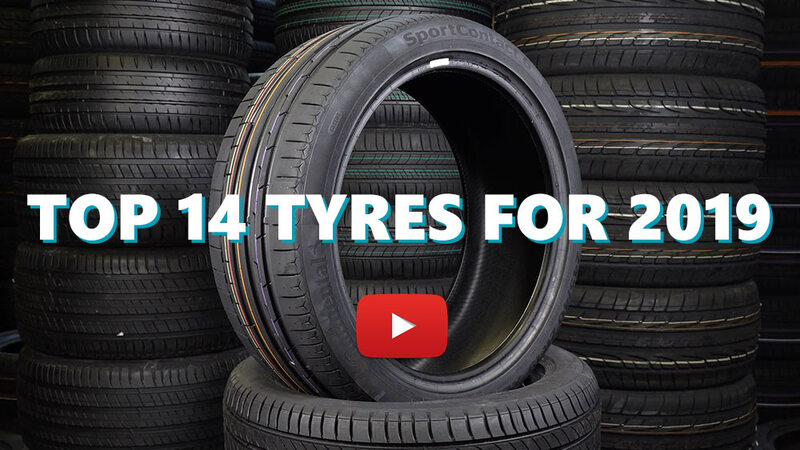 It's a very sporty tyre for the road. Dry grip maybe reduced as the grooves are so wide. Very well priced and underrated. Unsure of the wear at this stage. Haven't got these for long but noticed they are extremely quiet. I don't get much road noise from these compared to the top brands. These tyres have extremely wide grooves, rather like the Michelins, so I know my car can cope with aquaplaning well. They also have silica so wet grip should be fine. In the dry, i have had no problem. They are designed and made in the UK. AutoExpress should feature these tyres in their tyre tests and support the UK industry. Perhaps their editors have not even heard of Cooper. Neither have I till a few months ago. Recommended.